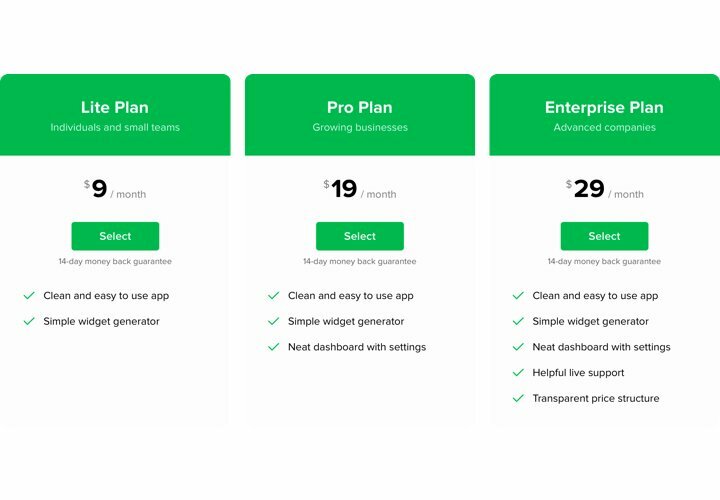 Pricing became one of the key factors in motivating visitors to make a purchase on your site. Elfsight app not only helps customers to see and analyze multiple price offers easily and quickly. It also helps uplifting conversion with the help of the latest techniques in design and modelling. Take sales of your site to another height, with the help of a powerful pricing. Use all the powerful tendencies of the design, to fight customers’ misconceptions that may appear while they are taking steps to buy, and have the maximum conversion. 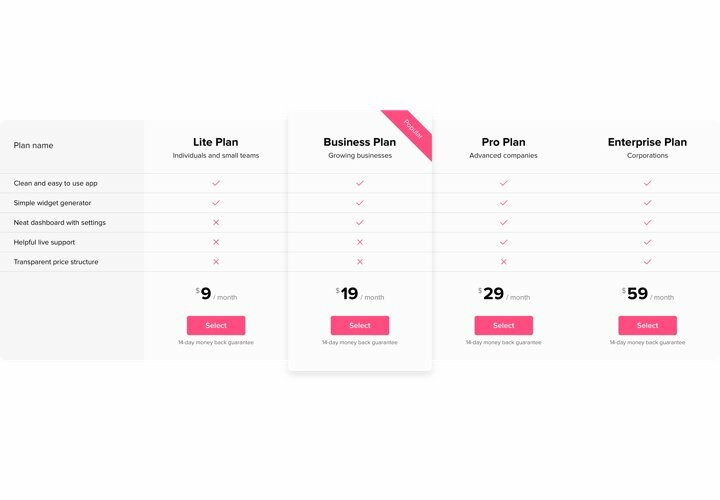 Thanks to a vast set of options that enable you to quickly shape different combinations of pricings, you will find the one that will be absolutely effective for your site. 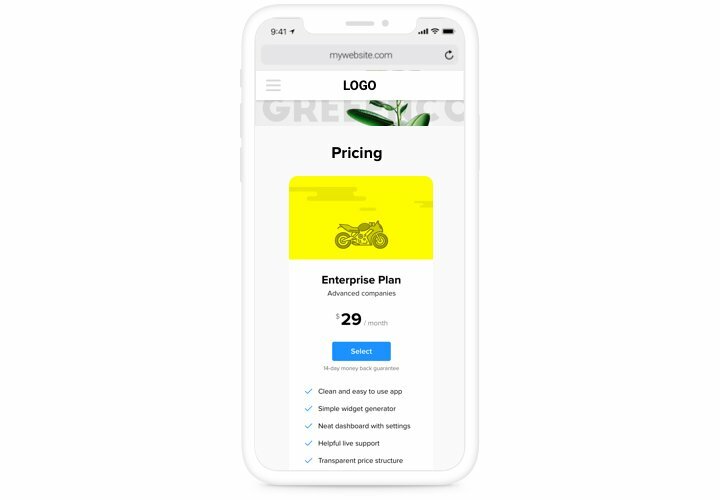 Make your pricing exciting for clients. Add any colors, reorder units, paste pictures, to make your pricing entertaining for visitors and bring positive influence on the buying decision. 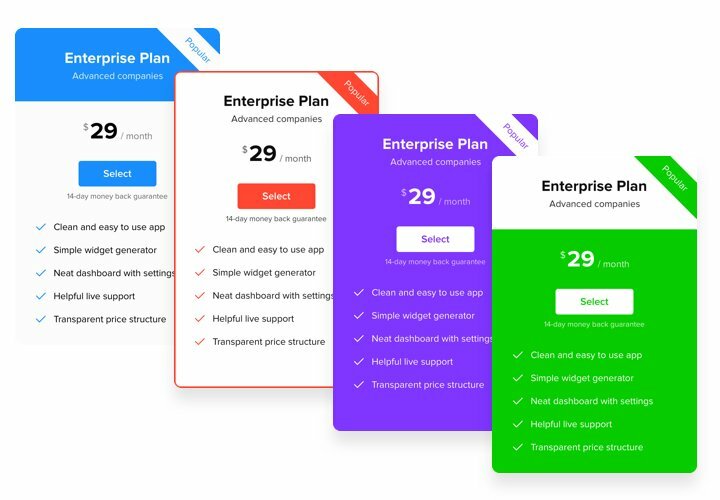 The most prominent features that make our app the best Pricing Table for Weebly websites. A tutorial on integration of Elfsight app with a website. You don’t need to have any skills in web development or a spend lot of time to perform the installation. It will take just 4 simple steps and 1 minute of time. Embed the widget by clicking «ADD» button on the page with Pricing Table in Weebly App Center. Place Pricing Table on the webpage. In the builder of the website, drag the widget icon to the page. After you get the widget, click the widget icon to change its key functions. Publish all the edits. Come across troubles with setup of the app? 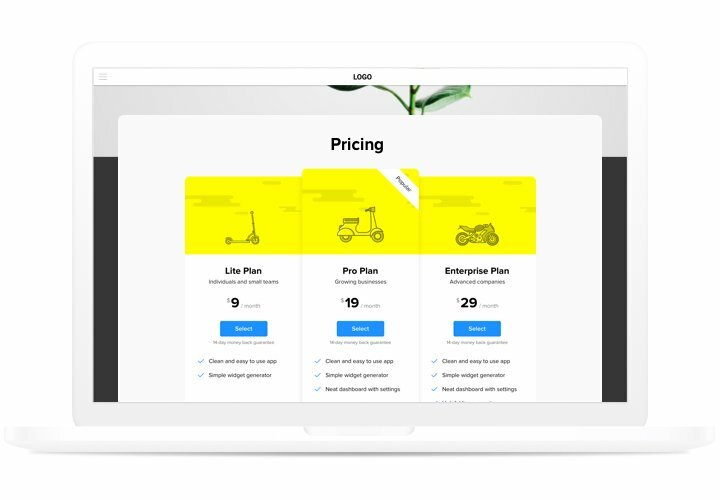 Check our complete manual «How to insert pricing table into a Weebly» or address our customer service, which will solve all kinds your issues in a flash. 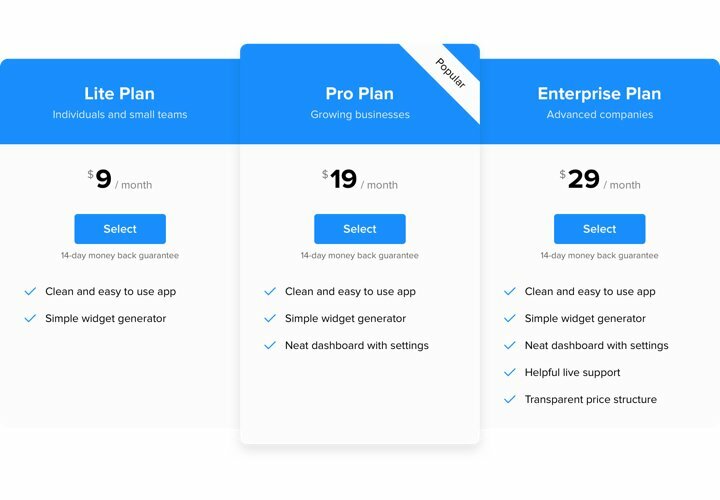 Create the best Weebly Pricing Table app in only 3 minute!